miss frugally: Look out Dust Mites! I bought a mattress cover to keep out the dust mites today. It is made by a company called allerease, it says on their website that a used mattress can have anywhere from 10,000 to 10 million dust mites in it! YUCK! Who counted all those anyways?! So I have had my mattress now for about five years or so how many are living in there?! I hope that mattress cover helps. I also bought some covers for the pillows, and bought one new pillow too. Kohl's is having a great sale on things like that. The next thing I need to do is get a new comforter, the one I have is down and it was recommended to get rid of that to see if that helps my allergies. I bought all those things when I got my new bed and they are falling apart anyways. I looked at Target also but they didn't have much. 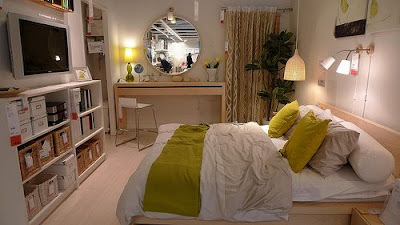 IKEA has some really great prices right now and I might just have to like what they have because of the price! IKEA has a lot of queen size duvet covers for $19.99. I think if I bought the down alternative comforter at Target and the duvet cover from IKEA that would be a pretty good price for me. It is worth it if I have a better nights sleep and it improves my allergies!